What Are Bonds and Are They Worth Investing In? Basic investment advice tells us that bonds are safer (but potentially less rewarding) than stocks, but truly learning the ins and outs of bonds is cast aside in favor of the latest and greatest investment opportunities like cryptocurrencies and junk bonds. While bonds are less popular amongst investors with moderate to aggressive investment strategies, it’s still worth knowing what types of bonds are out there and which ones might be good additions to your investment portfolio. Have you ever wondered what are bonds? In a nutshell, bonds are debt issued by a government institution or corporate entity. Bonds are the bread and butter of conservative investment strategies because they typically assume a little risk and moderate returns, paid out when the bond reaches maturity (the duration will vary based on the type of bond you invest in). Bond interest rates are calculated on the basis of the issuer’s credit quality rating (poor rating = higher risk of default = higher interest for bond investors) and the duration of the bond (ranges between a few days and 20-30 years, in some cases). Investors seeking consistent returns rather than potentially huge returns flock to bonds because of their relatively stable interest rates (usually 3-6%). What Are Bonds & Are They Worth Investing In? At first glance, “junk bonds” sound like bad deals. However, some investors are incredibly successful with junk bonds – it just takes a lot of financial knowledge and investment savvy to see great returns on these types of bonds. Also known as “speculative grade bonds,” junk bonds are high-risk, high-yield bonds issued by fiscally embattled governments or companies on the brink of a financial crisis (which means they have credit ratings lower than BBB, usually). Junk bonds are unfavorable options for beginning and/or conservative investors, but a well-researched investment strategy might be able to successfully incorporate a limited number of junk bonds into a diversified portfolio (to minimize the impacts of potential default while taking advantage of the possible high returns on these bonds). The United States Treasury has had the highest credit rating (AAA) for many years, but the U.S.’s ongoing debt ceiling problems, federal deficit, and unpredictable political climate has pushed some ratings companies like S&P to lower the U.S.’s rating to AA+. This is still one of the best ratings out there and the likelihood of the U.S. defaulting on bond payments is very slim, which makes U.S. Treasury securities a solid addition to any portfolio that needs a little more diversification. The U.S. Treasury bond interest rates are somewhat low – the payout is about $27 per $1,000 face value annually – but at least a highly-rated bond issuer such as the U.S. Treasury can guarantee these returns, unlike the ever-volatile stock market. Other countries with lower credit ratings are forced to offer higher interest rates to attract investors, but the U.S. is generally a stable pick for bond investors who simply want reasonable and consistent returns on their investments. Municipal bonds derive from state and local governments seeking to increase funding for public projects such as schools, transportation infrastructure, and sewage systems. Typically, registered voters living in these areas vote on whether their local/state governments can issue these bonds. Municipal bonds are oftentimes (but not always) exempt from federal, state and local taxes, which makes them a favorable option for investors seeking to lower their tax burden. These types of bonds carry minimal risks of default because the local/state property owners and other residents are essentially subsidizing the interest paid to bond investors for projects that benefit the community. Finally, corporate bonds are issued by companies seeking outside financing to cover ongoing operational expenses or expand their business with new research, equipment, employees, and other means. As opposed to company stock – which signifies some equity you own in that company and pays out in dividends – corporate bonds do not mean you own any part of that company. You’re just temporarily lending it money, which you’ll receive back at the maturity date (along with some interest payments along the way). If a company you invest in goes bankrupt before your bond reaches maturity, you could claim some of the remaining assets depending on your priority status as a bondholder (this depends on the bond’s terms). You can invest in bonds through a discount brokerage. 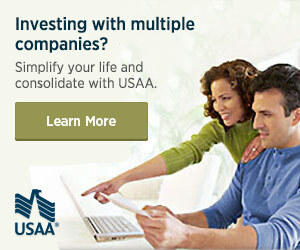 Or, you can typically invest in bonds through your bank. Many have brokerage account options. Or, you can use an app like Stash to invest. Stash offers pre-made investments in ETFs. They bundle those ETFs based on your investing philosophy and/or investing goals. Stash is an investing platform that makes it easy to start with as little as $5. You’ll learn the basics so you can do it yourself. Here’s a $5 bonus to get started. It’s all you need to make your first investment. Like any investment out there, bonds are not fail-proof ways to make returns on your investments. However, they are significantly less risky than stocks and can pay out more consistently, depending on the credit rating of the company or government entity issuing the bonds. For greater diversification in your portfolio, you don’t want to leave out bonds – even if your strategy is currently set to aggressive investing for maximum returns – so continue reading more about bonds to see which types would be good fits for your investment strategy.